Sometimes it is the most simple of ideas that makes you slap your forehead and say, “Duh… why didn’t I think of that?” That is how I feel about this recipe for Walking Tacos. Such a simple idea, inspired by a day at the county fair. School will be starting again in just a short few weeks, which means that our schedules go from just slightly hectic to crazy always rushing around and hurrying out the door hectic. This holds true for dinnertime during the school year too, which usually has to be eaten around the table really late at night or snatched to eat on the go in the car. I will be 100% honest when I say I value family meal time more than just about any other ritual in our home, but as my kids get older and more involved in extracurricular activities, I recognize that a sit down dinner with all 6 of us together just isn’t going to happen every night. The next best thing is a home cooked meal that can be eaten on the go. 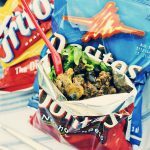 No, these walking tacos aren’t the healthiest of options, but I bet they are better than what you can get when you make a visit to your friendly neighborhood drive through. Plus, you can add beans, corn, veggies… you can add all kids of things to sneak some healthy into your bag. 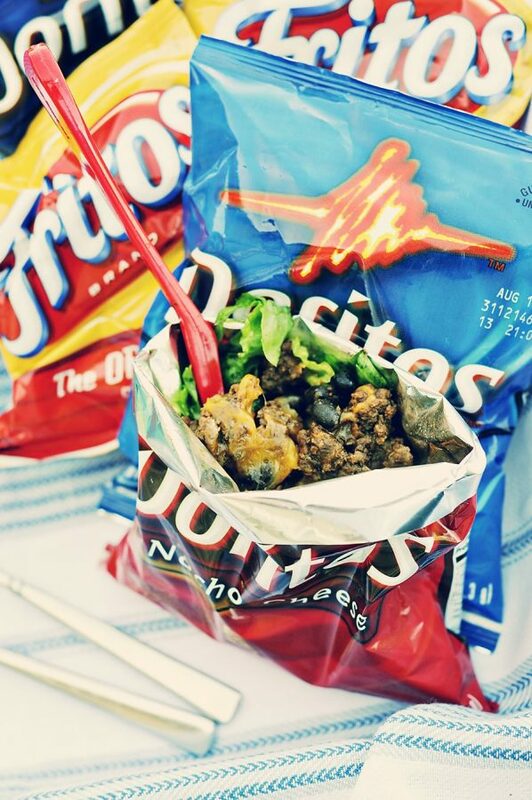 The next time you are tempted to just give your kid another sandwich as you walk out the door to the next event, think again and think inside the bag… Walking Tacos. A delicious and hearty dinner that is about as super simple as you can get! With your browned grown beef still in the skillet, add the Bush's black beans, 3 Tbs of water and your taco seasoning. Heat through. Gently take each individual bag of chips and crush the chips. Once the chips are crushed, cut open the top of the bag. Scoop your taco meat/bean mixture into the bag. Top with your favorite toppings...tomatoes, cheese, lettuce, avocados, sour cream...whatever your heart desires. 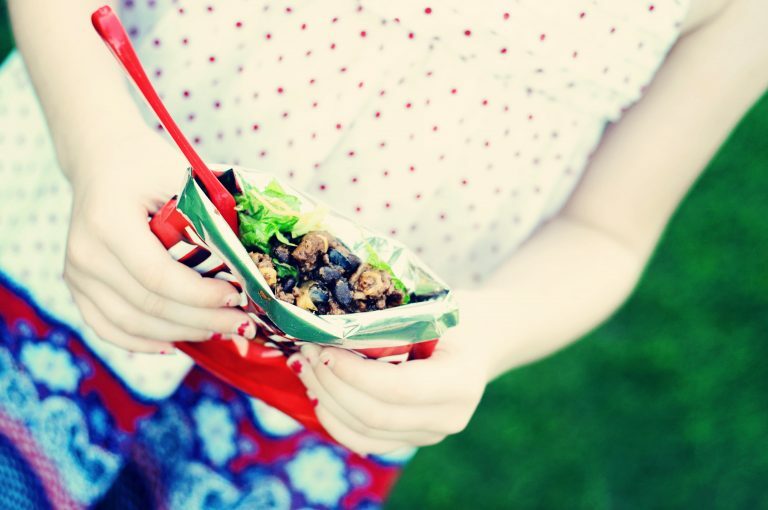 Head out the door with your walking taco bag in your hand and a spoon and enjoy a hearty dinner on the run! How cute is this idea?!?! I love it! what a smart idea – i love it. i make a taco salad with doritos and it didn’t even dawn on me to do this. you are a genius!! BRILLIANT!! Can’t wait to try this! Thanks for a great idea! Love this! My kids came home from camp, telling me all about ! Genious, pure genious! Oh my gosh I LOVED walking tacos as a kid! They served them in our concession stand in high school. They are so fun! our school made these for a big fund raiser, back to school, open house / fair a while back. the kids loved them. cheers! If my daughter were still at home I can see her taking this enroute to volleyball games. What a great idea! Great photos too! I love the creativity of this recipe! When school starts back up we are in the same boat as you with activities and dinner on the run. I’ll be trying to gain some family dinner time whenever I can – it’s something I value as well! Great idea!!! And yeah, why didn’t I think of that? We had a taco casserole last night that this kind of reminds me of, except not in a bag. It looked gross but was actually really good. Layer of crushed chips, then refried beans (black or pinto), then taco meat and sauteed onion, then cheddar cheese, then a homemade red chile enchilada sauce, then more crushed chips. You back till it’s all bubbly and then serve topped with all your favorite taco toppings. I made it just because I had a bunch of almost stale tortilla chips to use up, but I think I’ll actually make it again. Now, if I could just make it look appealing for a photo! That’s an adorable idea, one my grandkids would go for in a minute! My mom gave up on every night family dinners once I entered high school…it just gets to be too stressful! 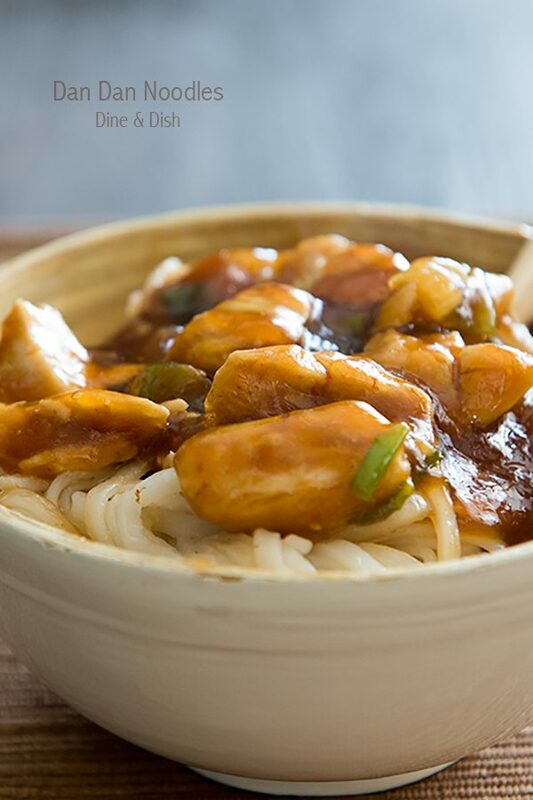 I love this as an alternative to takeout or the drive through…definitely healthier! It’s really rare that I’m truly bowled over by an idea and today you’ve done that! This is one of the most clever things I’ve seen in a long time. I can’t imagine any child that wouldn’t be crazy about this! Great job. I’m totally smitten with this idea! I thought this looked so good that I shared the link with my facebook friends. This looks like such a quick meal on the go. Thanks for sharing. I first saw this at a school carnival. I thought it was ridiculously unhealthy, overpriced, messy but BRILLIANT! It was awesome! I’ve never made it here because we don’t often have chips at the house but it’s a very cool idea. It would be fun for a sleepover or something, the kids would get a kick out of it, thanks! What a cool concept. I’ve had frito pie in a bag but never tacos in a bag. Ingenious! I never grew up with these, but have heard of frito pies (only in my adulthood though)…but I love the idea of using Doritos with taco salad fixings. I should try this for my kids and make a picnic out of it with them. =) Fun post! My family will love this idea! While on summer vacation my nephew came up with the idea of tiny taco’s using “Scoop” taco shells filled with spiced ground beef and top with gooey cheese & ketchup! Young children luv the bite size pieces and it’s a game to see how many they can eat. Amazing idea! I think my kids would love this! Oddly enough this combo actually sounds good. I like how to the chips act as the taco shell. That is such a fun way to serve dinner to kids. Very cute! Oh, too fun and too yummy! Walking tacos are all over the hockey rinks here in the winter. Yours look gorgeous! Also, you know what would be RIDICULOUS with this? Those Doritos taco-flavoured chips. They taste just like a taco! You can taste the lettuce and everything! And this would be… a TACO-FLAVOURED TACO. Can you imagine. Hey now that is out of this world delicious! Great idea. Aren’t these great? We have been serving these at our concession stand at football games for years, but I have never seen a written recipe. Thanks for yours. this is what us New Mexicans call Frito Pie been around for decades! oh an i love the idea an i definatley wont be only eating this once an thats for sureeee!!!!!!!!! I love these but I still have yet to make them. Putting it on my todo list. Cute idea for little children but honestly, it’s not practical for older children. It doesn’t serve enough. This isn’t going to fill growing boys’ stomachs. Just keep that in mind when choosing this recipe. I know it’s a great, simple recipe since my son has done it at Boy Scout campouts for a dinner!! 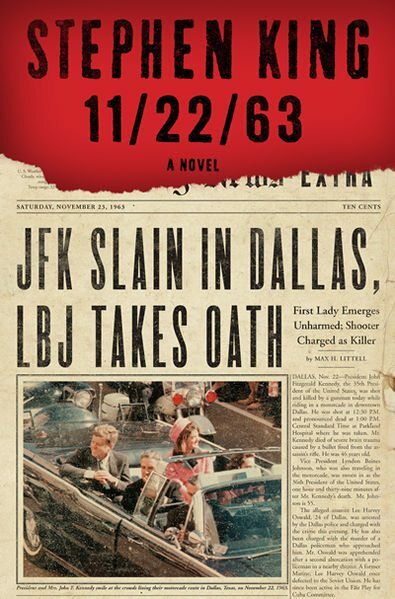 I love this – brings back the old days, in the tiny Texas town I grew up in. Our only “fast food” place was a privately owned burger joint called the Dairy King. Mrs. Reed served the Frito pies this way – slit the side of the bag, ladle on chili, top with cheese and onions, and good to go! Thanks for sharing this recipe! Thank you, I’ve recently been looking for information about this topic for ages and yours is the greatest I’ve found out so far.